E-Commerce specific events are fired for WooCommerce and Easy Digital Downloads. The plugin will automatically fire parameter-rich events on every key action. You can use them to optimise and track Facebook Ads conversions, for Custom Audiences, or Facebook Analytics. 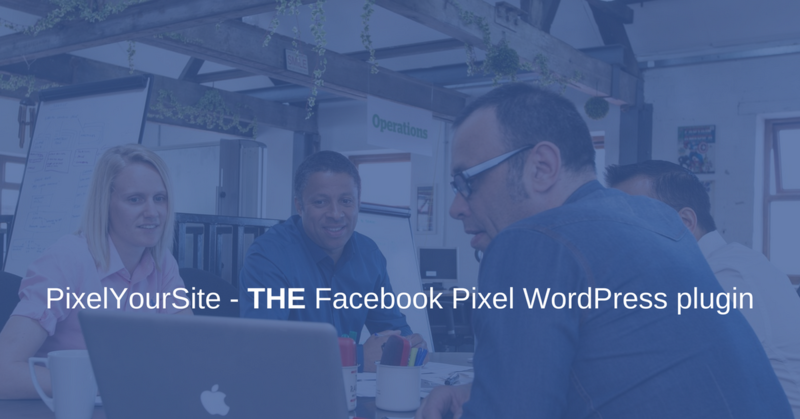 Configure your own standard or custom Facebook Pixel events with just a few clicks and NO coding. Get your website ready for retargeting or ads optimization. Track your visitors’ important actions. Every detail of the pages that they visit, every single click, every search, embedded video views, comments, downloads, form submission or user registration. Use all these to optimize your ads with Custom Conversions, or to do retargeting with Custom Audiences. A vast number of parameters are tracked for each event, including the traffic source, visitor’s role, UTM, and user’s browser time (hour, day, month). Automatically add all the e-commerce speciffic events. Dynamic Product Ads (DPA) pixel configuration. Fine-tuned conversion value tracking for each WooCommerce event. Prepare your site for outstanding Custom Audiences and Custom Conversions. Automatically add all the required events. Dynamic Product Ads (DPA) pixel setup out-of-the-box. Fine-tuned conversion value for each WooCommerce event. We have dedicated filters that can be used by developers to disable tracking and we integrate with 4 different “cookie consent” plugins. Securely send Facebook the data that you have about your customers, like the name, email, phone number or address. This will increase conversion attribution and remarketing results, letting Facebook make a better match with a real account. It works for logged-on users and WooCommerce or Easy Digital Downloads customers. The Facebook pixel will send button click and page metadata with the Micoradata and SubscribedButtonClick events. You can turn them ON/OFF from the plugin settings.